Gwynne Shotwell, president and chief operating officer of aerospace manufacturer and space transportation company SpaceX in Hawthorne, Calif., recently presented the Ralph Coats Roe Lecture at her alma mater Northwestern University in Evanston, Ill. 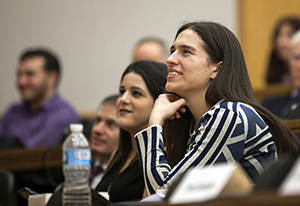 Approximately 200 people — including members of the ASME Chicago Section, ASME student members from Northwestern University and other area colleges, and faculty and staff from Northwestern — attended the lecture on Feb. 28. 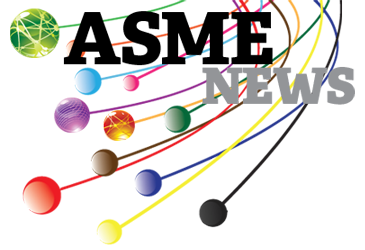 Established in 1972, the Ralph Coats Roe Medal recognizes outstanding contributions toward a better public understanding and appreciation of the engineer’s worth to contemporary society. Shotwell, who was selected as the award’s recipient for 2018, was honored for outstanding leadership in innovation for space commercialization and colonization, for technical contributions to the design of reusable rockets and for dedication to the promotion of STEM education. ASME Executive Director/CEO Tom Costabile (left) presents Gwynne Shotwell with a certificate commemorating her presentation of the Ralph Coats Roe Lecture. Shotwell, who joined SpaceX in 2002 as vice president of business development and assumed her current role as president and COO in 2008, is responsible for day-to-day operations and for directing customer and strategic relations. She is also a member of the SpaceX board of directors. Before joining SpaceX, she worked more than a decade at the Aerospace Corporation in El Segundo, Calif., prior to being named director of the space systems division at Microcosm Inc. in Torrance, Calf. A member of Northwestern University’s board of trustees, Shotwell earned a bachelor’s degree in mechanical engineering and master’s degree in applied mathematics, with honors, from Northwestern University in 1986 and 1988, respectively. 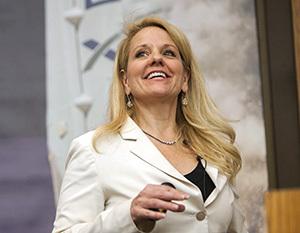 During her presentation, “Launching Our Future,” Shotwell discussed the growth of SpaceX since its formation in 2002 and the company’s goal of lowering the cost and improving the reliability of space transportation with the ultimate objective of enabling humans to inhabit other planets. She also talked about some of the company’s more recent ventures, including the development of the Starlink communication satellite network that is intended to provide dependable broadband Internet service throughout the world. ASME member Elizabeth Soukup (foreground) with Valentina Alayon, coordinator for Student and Early Career Engagement and Experience at ASME, at the Roe Lecture. Soukup, who is a mechanical engineer at SpaceX, nominated Gwynne Shotwell for the Ralph Coats Roe Medal. In addition to ASME Executive Director/CEO Tom Costabile, who served as master of ceremonies for the event, and members of the ASME Chicago Section and local ASME student sections, ASME was represented by Valentina Alayon, coordinator, Student and Early Career Engagement and Experience for ASME, and Elizabeth Soukup, an ASME member and mechanical engineer at SpaceX who nominated Shotwell for the medal. A reception for the ASME senior and student section members, held just prior to the lecture, was hosted by Steve Slowik, chair of the Chicago Section; Luke Burns, chair of the Northwestern University student section; Manohar Kulkarni, student section advisor at Northwestern; and Kevin Lynch, chair of the university’s mechanical engineering department.